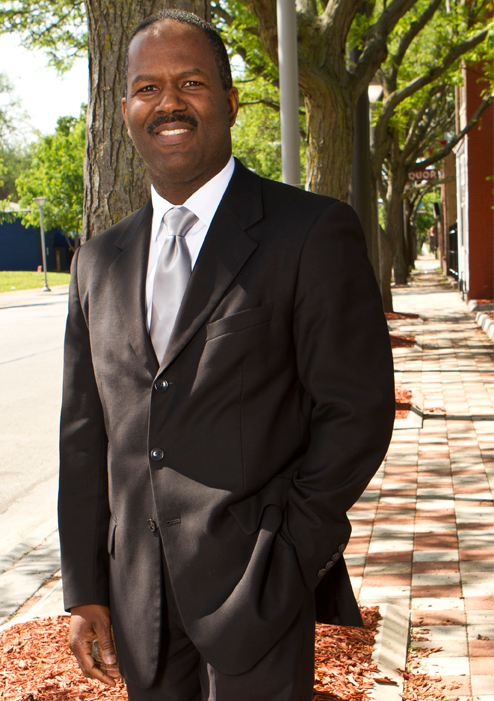 Willie Barney is the Founder, President, and Facilitator of the Empowerment Network, a collaborative of residents, leaders, an organization working to facilitate positive change in Omaha, Nebraska and other cities across the country. Formed in September 2006 and launched in April, 2007, the Network works collectively to improve the economic condition and quality of life for African-Americans, North Omaha residents and the Greater Omaha area. The movement has evolved into a nationally recognized approach for community engagement, collaboration, capacity-building and leadership development with a focus on transforming Omaha into a GREAT city, in every zip code and neighborhood! The comprehensive community-based development organization has launched major initiatives with measurable outcomes. Closing the wealth gap is a key focus of the collaborative work. The Empowerment Network Collaborative is one of the catalyst in Omaha that has helped to increase graduation rates; improve reading, math and science scores; reduce gun violence; generate hundreds of millions of dollars in community revitalization; increase access to health care and healthy foods; support the passage of over 30 pieces of legislation; and, launch the rebirth of an African-American centered arts, culture and business district. The group has launched major initiatives with measurable outcomes including the Empowerment Covenant/Challenge, Empower Omaha!, Omaha 360° Violence Intervention and Prevention Collaborative, North Omaha Village Zone Revitalization Plan, Transformation 2025, Christmas in the Village at 24th and Lake, Omaha African-American Male Achievement Collaborative, North Omaha Cradle to Career Education Collaborative, Pastors & Faith Leaders Adopt-A-Block Initiative, and the Rebuild the Village Strategy. Recent work in the areas of career advancement and leadership development, include: the creation and implementation of the Racial Diversity and Equity Scorecard; development of the Redefine the Game Institute in partnership with BCT Partners; and, launch of the Omaha Legacy Wealth Initiative in partnership with Torch Enterprises. For over twenty-seven years Mr. Barney has worked in strategic planning, marketing, communications, community building and facilitation. In addition to the Empowerment Network, he is president of SMB Enterprises, LLC, a company that provides positive events, media and entertainment in the greater Omaha area. SMB is the parent company of Revive! Omaha Magazine and the North Omaha Community Guide. He is also president of WDB Resultants, LLC, a consulting firm that specializes in strategic planning and marketing, communications, research, community organizing and facilitation. His experience includes work with corporate, non-profit, and faith-based organizations. He has been an active volunteer in each community that he has lived. Barney graduated with a double major in Economics and Business Administration from St. Ambrose University, Davenport, Iowa. A strong supporter of life-long learning, he has continued his education through advanced leadership training including, the Summer Leadership Institute for Community Development at Harvard University and Executive Leadership and Management Training at the Northwestern University Media Center in Chicago. He and his wife have been married for eighteen years. They are both actively involved in their church as associate pastors and ministers where they lead financial empowerment and community and economic development initiatives. She is the Vice-President of SMB Enterprises and WDB Resultants and Co-Publisher of Revive! Omaha Magazine. They have two children, Nehemiah (16) and Priscilla (10). Their focus, passion and purpose is working together with others to see the community and each person reach their full potential. For more information, please go to empoweromaha.com.